This volume presents a set of models for the exceptional Lie algebras over algebraically closed fieldsof characteristic O and over the field of real numbers. The models given are based on the algebras ofCayley numbers (octonions) and on exceptional Jordan algebras. They are also valid forcharacteristics p * 2. The book also provides an introduction to the problem of forms of exceptionalsimple Lie algebras, especially the exceptional D4 's, � 6 's, and � 7 's. 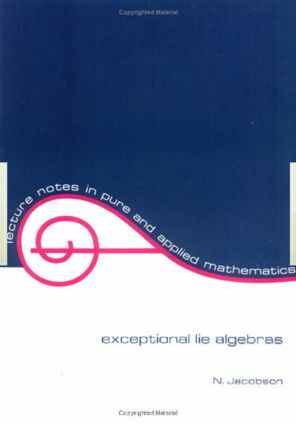 These are studied by means ofconcrete realizations of the automorphism groups.Exceptional Lie Algebras is a useful tool for the mathematical public in general-especially thoseinterested in the classification of Lie algebras or groups-and for theoretical physicists.